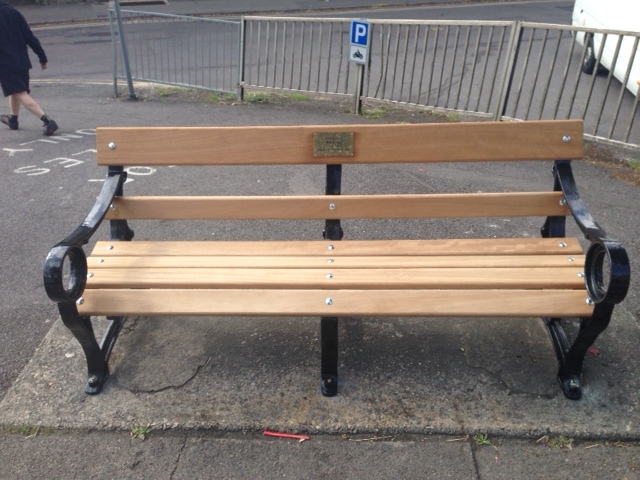 Today, two new benches were installed in the centre of Chipping Norton to remember two of our town’s honorary citizens. The benches, on the high street in front of Sainsbury’s, commemorate Rob Evans, who died last year, and Mike Howes, who died earlier this year. The town council arranged for the benches, with their commemorative plaques, to be placed in town. Mike Howes’ family had contributed £200 towards the cost of Mike’s bench, but at their August council meeting, the town council decided, with the permission of the Howes family, to donate this money to Leukaemia and Lymphoma Research. Mike died in February after battling acute myeloid leukaemia. Mike was made an honorary citizen of the town last November, and Rob was posthumously made an honorary citizen in January this year, after his death the previous September. The two old benches that have been replaced will be put to good use – they are to be installed at the cemetery for visitors to use. This entry was posted in local people, news and tagged bench, Chipping Norton, Chipping Norton Town Council, Honorary Citizen, Mike Howes, Rob Evans, Town council. Bookmark the permalink.